Hungry Cravings: Marinades Release Day! 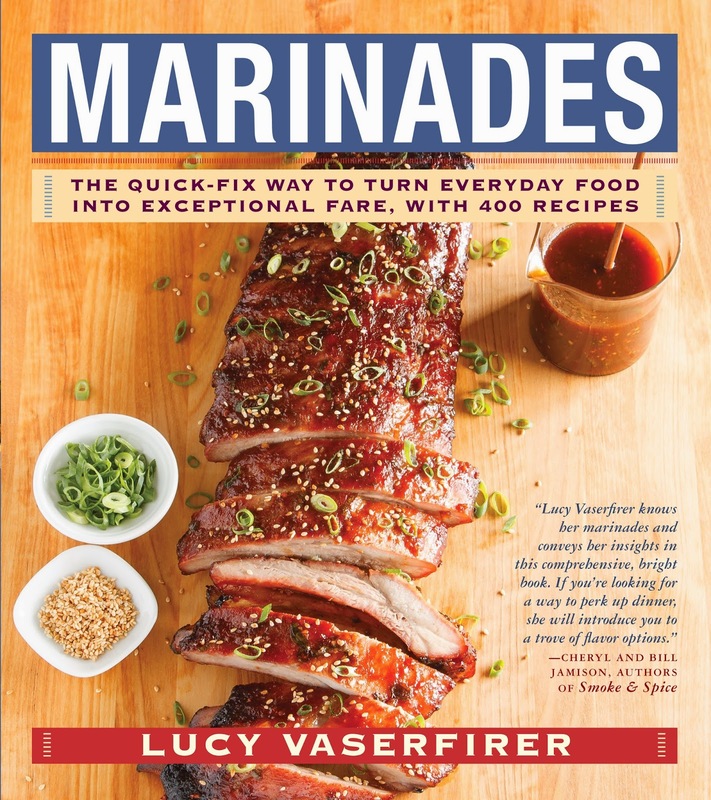 My third cookbook Marinades hits stores today! Wouldn’t you love knowing at the end of a busy day that something delicious and homemade is already started for dinner? Well, with the investment of just the few minutes it takes to blend a handful of ingredients into a marinade, you can have just that. While you’re out making the most of your day, doing absolutely anything but worrying about what’s for dinner, your chicken breasts, steaks, or chops are hard at work absorbing tons of delicious flavor. Dinner practically cooks itself; you just have to move it to the grill. It’s that easy. It’s that quick. It’s that delicious, and there’s that much variety. Could this be real? Wouldn’t it be easier to just have takeout? Trust me when I say that marinades are the ultimate in convenience cooking. And yet the flavors are bold and vibrant, as if you slaved all day. Just give it a go for one dinner, and you’ll find yourself making marinated meals night after night and feeling very clever doing it. The book has a whopping 400 recipes! There are 200 different marinade recipes, and each one is accompanied by an additional recipe showcasing a way to use the marinade to make a complete meal. Other suggested uses are listed as well for more inspiration. Grilled Baby Back Ribs with Asian Plum Marinade. Chicken and duck are also recommended with this marinade. 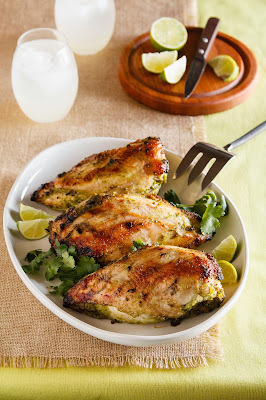 Grilled Chicken Breasts with All-Purpose Tex-Mex Marinade. This is one of my all-time favorites. I use these chicken breasts to make everything from fajitas and quesadillas to tortilla soup to chicken clubs and chicken Caesars. Other suggested uses for this marinade are steaks, fish fillets, shrimp, and scallops. 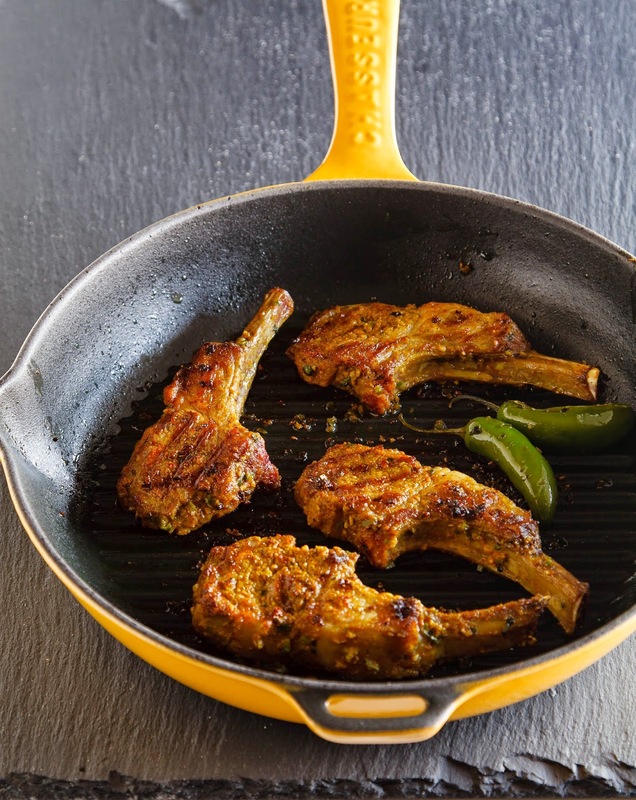 Grilled Lamb Rib Chops with Curry Marinade. Chicken, pork, and shrimp are also recommended with this marinade. Aside from the tantalizing recipes, perhaps what I love most about this book is how user friendly and versatile it is. 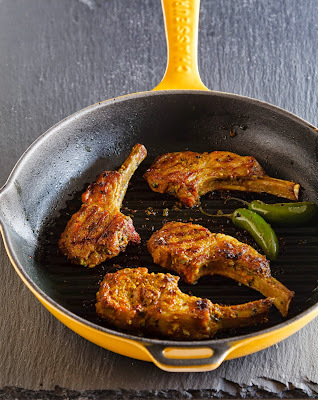 Tools and marination times are highlighted in recipes in order to give you a sense of how involved they are and how far in advance to get started. A majority of the recipes are for what I call “blend-in-the-bag” marinades: ingredients are measured right into a large zip-top bag and then the food to be marinated is thrown in, making both preparation and cleanup a snap. An Index of Marinade Recipes and an Index of Suggested Use Recipes make it easy to navigate the book whether you’re in the mood for a marinade with rosemary or if you’ve picked up pork chops on special at the market. I’m proud to say reviewers are enthusiastic about Marinades. LibraryJournal recommends it for “frequent grillers and protein eaters”, and ForeWord Reviews declares, “Home cooks who use this book will be enlightened and invigorated by the possibilities of such a wide variety of ingredients.” Publishers Weekly calls it a “snappy tome…out to prove that an herb or spice soak is more than a flavoring for meat—it’s also a means for simplifying cooking”. Reader reviews on Amazon are equally positive. Perhaps the highest praise is that Kitchen Arts & Letters deemed Marinades worthy of inclusion in their newsletter. 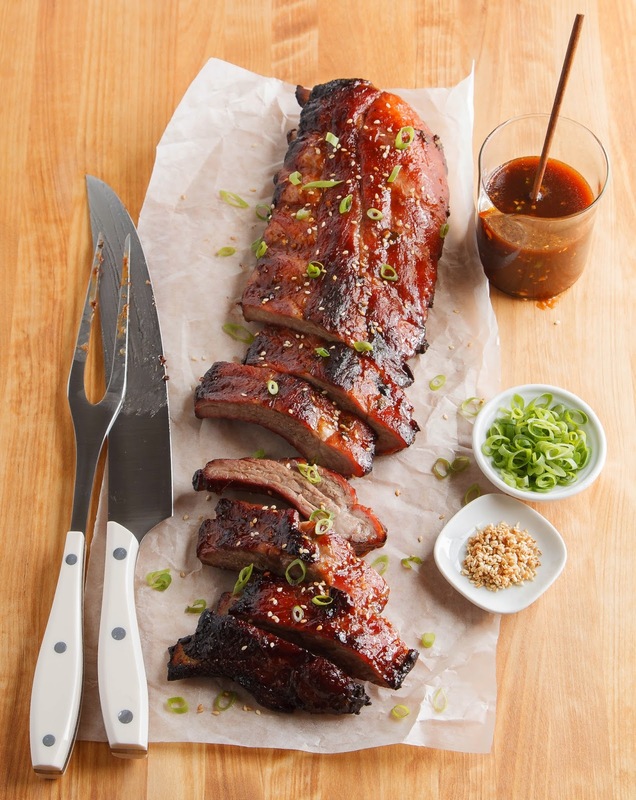 Want more Marinades? Watch me demonstrate a recipe from the book on AM Northwest this Friday between 9:20AM and 9:40AM. Then on Sunday, May 4, join me at the Portland Williams-Sonoma for a demo and tasting. I may be biased, but I think you’ll find the recipes in Marinades to be inspiring and delicious as well as simple and easy to use. I truly hope you love this book as much as I do!